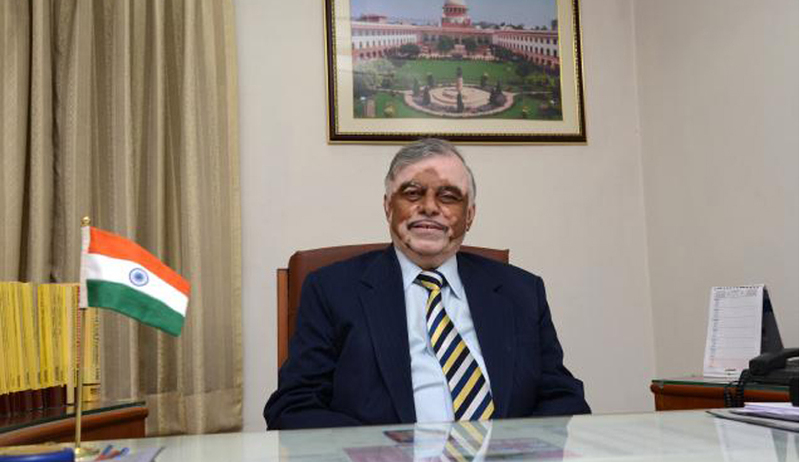 The Chief Justice of India, P Sathasivam today defended the present collegium system for appointment of judges in higher judiciary but said it is a prerogative of the Centre to bring a bill to change it. Justice Sathasivan, while inaugurating a seminar on Rule of Law, said "Now as a Chief Justice of India, I am not going into the contents of the bill and how it was passed as it is the prerogative of the government and it is for the people to accept it or not”. Justice Sathasivam further added that, “It is too early to say anything on Judicial Appointments or Committee. The government and its agencies have a say in the present collegium system and their views are also taken into consideration for appointment of judges. The Judicial function is universally recognised as distinct and separate in the system of government and is the ‘very heart’ of the republic and the ‘bulwark’ of democracy. It is the trust and confidence of the people in this great institution to deliver true, fearless and impartial justice that keeps the system thriving irrespective of shortcomings like backlog of cases which is fast growing”. said, “The present collegium system works well. Even if certain deficiencies are there, the same can be eliminated by adhering to time schedules. It cannot be claimed that the government (state and central) has no role in the appointment of judges and the setting up of National Judicial Commission will not solve the problem. On the other hand, if the time schedule is strictly followed by all the authorities and more consultations with the persons concerned are held, the present system will solve the problem. Judiciary does not have the absolute power of appointing judges inasmuch as the executive is given the power to be exercised as a check, whenever necessary, to prevent an appointment, considered unsuitable, for reasons to be disclosed to the Chief Justice of India”.